ACDI/VOCA is an economic development organization that fosters broad-based economic growth, raises living standards, and creates vibrant communities. 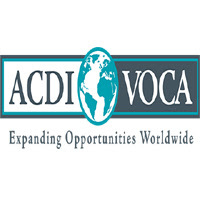 Based in Washington, D.C., ACDI/VOCA has worked in 146 countries since 1963. Its expertise is in catalyzing investment, climate smart agriculture, empowerment & resilience, institutional strengthening, and market systems. Please apply online at www.acdivoca.org/international-jobs . No phone calls please. Only those candidates considered for an interview will be contacted. ACDI/VOCA is an equal opportunity employer. Women, minorities, and people from diverse groups are encouraged to apply.